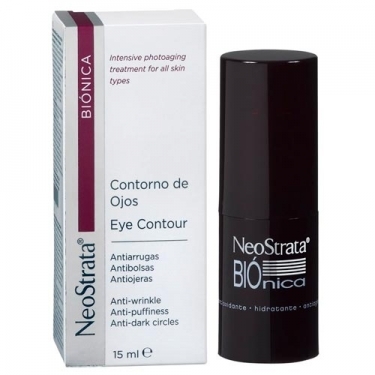 Moisturizes and rejuvenates the look;Efficiently blurs small wrinkles and dark circles;Prevents the loss of Collagen, responsible for the tonicity of the skin. 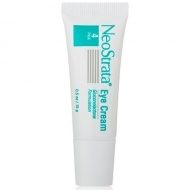 Neostrata Bionic Eye Cream from Neostrata is a cream that refreshes the contour of the eyes, helping to dissolve the puffs and to eliminate the wrinkles and dark circles. 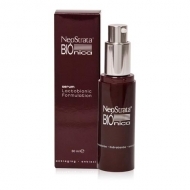 It has a draining anti-darkening effect and contains Antioxidant Lactobionic Acid, Vitamin K to strengthen blood micro vessels, Pro-Vitamin A and Vitamin E for anti-aging action. 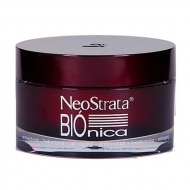 Prevents the loss of Collagen, responsible for the tonicity of the complexion. It also contains extracts of Green Tea and Cucumber to soften and refresh the skin. No perfume or dyes. Tested ophthalmologically. Hypoallergenic. Complete Formula: Lactobionic Acid; Gluconolactone; Vitamins A / C / E; Cucumber extracts and Green Tea. Apply morning and evening to the skin around the eyes with slight upward strokes;Compatible with make-up.